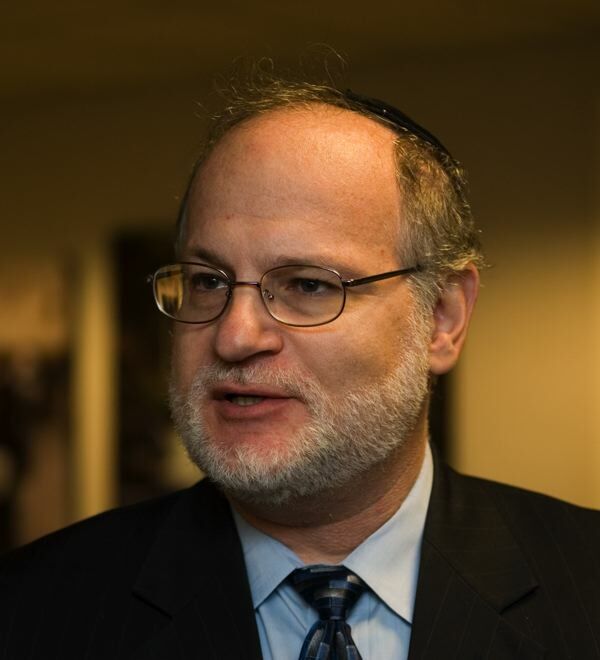 Please take a moment to digest this provocative article by a Jewish Rabbi from Teaneck , N.J. It is far and away the most succinct and thoughtful explanation of how our nation is changing. The article appeared in The Israel National News, and is directed to Jewish readership. 70% of American Jews vote as Democrats. The Rabbi has some interesting comments in that regard. “The most charitable way of explaining the election results of 2012 is that Americans voted for the status quo – for the incumbent President and for a divided Congress. They must enjoy gridlock, partisanship, incompetence, economic stagnation and avoidance of responsibility. But as we awake from the nightmare, it is important to eschew the facile explanations for the Romney defeat that will prevail among the chattering classes. Romney did not lose because of the effects of Hurricane Sandy that devastated this area, nor did he lose because he ran a poor campaign, nor did he lose because the Republicans could have chosen better candidates, nor did he lose because Obama benefited from a slight up-tick in the economy due to the business cycle. Romney lost because he didn’t get enough votes to win. That might seem obvious, but not for the obvious reasons. Romney lost because the conservative virtues – the traditional American virtues of liberty, hard work, free enterprise, private initiative and aspirations to moral greatness – no longer inspire or animate a majority of the electorate. The simplest reason why Romney lost was because it is impossible to compete against free stuff. Every businessman knows this; that is why the “loss leader” or the giveaway is such a powerful marketing tool. Obama’s America is one in which free stuff is given away: the adults among the 47,000,000 on food stamps clearly recognized for whom they should vote, and so they did, by the tens of millions; those who – courtesy of Obama – receive two full years of unemployment benefits (which, of course, both disincentivizes looking for work and also motivates people to work off the books while collecting their windfall) surely know for whom to vote. The lure of free stuff is irresistible. The defining moment of the whole campaign was the revelation of the secretly-recorded video in which Romney acknowledged the difficulty of winning an election in which “47% of the people” start off against him because they pay no taxes and just receive money – “free stuff” – from the government. Almost half of the population has no skin in the game – they don’t care about high taxes, promoting business, or creating jobs, nor do they care that the money for their free stuff is being borrowed from their children and from the Chinese. They just want the free stuff that comes their way at someone else’s expense. In the end, that 47% leaves very little margin for error for any Republican, and does not bode well for the future. It is impossible to imagine a conservative candidate winning against such overwhelming odds. People do vote their pocketbooks. In essence, the people vote for a Congress who will not raise their taxes, and for a President who will give them free stuff, never mind who has to pay for it. That engenders the second reason why Romney lost: the inescapable conclusion that the electorate is ignorant and uninformed. Indeed, it does not pay to be an informed voter, because most other voters – the clear majority – are unintelligent and easily swayed by emotion and raw populism. That is the indelicate way of saying that too many people vote with their hearts and not their heads. That is why Obama did not have to produce a second term agenda, or even defend his first-term record. He needed only to portray Mitt Romney as a rapacious capitalist who throws elderly women over a cliff, when he is not just snatching away their cancer medication, while starving the poor and cutting taxes for the rich. During his 1956 presidential campaign, a woman called out to Adlai Stevenson: “Senator, you have the vote of every thinking person!” Stevenson called back: “That’s not enough, madam, we need a majority!” Truer words were never spoken. Obama could get away with saying that “Romney wants the rich to play by a different set of rules” – without ever defining what those different rules were; with saying that the “rich should pay their fair share” – without ever defining what a “fair share” is; with saying that Romney wants the poor, elderly and sick to “fend for themselves” – without even acknowledging that all these government programs are going bankrupt, their current insolvency only papered over by deficit spending. Similarly, Obama (or his surrogates) could hint to blacks that a Romney victory would lead them back into chains and proclaim to women that their abortions and birth control would be taken away. He could appeal to Hispanics that Romney would have them all arrested and shipped to Mexico and unabashedly state that he will not enforce the current immigration laws. He could espouse the furtherance of the incestuous relationship between governments and unions – in which politicians ply the unions with public money, in exchange for which the unions provide the politicians with votes, in exchange for which the politicians provide more money and the unions provide more votes, etc., even though the money is gone. Obama also knows that the electorate has changed – that whites will soon be a minority in America (they’re already a minority in California ) and that the new immigrants to the US are primarily from the Third World and do not share the traditional American values that attracted immigrants in the 19th and 20th centuries. It is a different world, and a different America . Obama is part of that different America , knows it, and knows how to tap into it. That is why he won. Obama also proved again that negative advertising works, invective sells, and harsh personal attacks succeed. That Romney never engaged in such diatribes points to his essential goodness as a person; his “negative ads” were simple facts, never personal abuse – facts about high unemployment, lower take-home pay, a loss of American power and prestige abroad, a lack of leadership, etc. As a politician, though, Romney failed because he did not embrace the devil’s bargain of making unsustainable promises. It turned out that it was not possible for Romney and Ryan – people of substance, depth and ideas – to compete with the shallow populism and platitudes of their opponents. Obama mastered the politics of envy of class warfare – never reaching out to Americans as such but to individual groups, and cobbling together a winning majority from these minority groups. If an Obama could not be defeated – with his record and his vision of America , in which free stuff seduces voters – it is hard to envision any change in the future. The road to Hillary Clinton in 2016 and to a European – socialist economy – those very economies that are collapsing today in Europe – is paved. For Jews, mostly assimilated anyway and staunch Democrats, the results demonstrate again that liberalism is their Torah. Almost 70% voted for a president widely perceived by Israelis and most committed Jews as hostile to Israel. They voted to secure Obama’s future at America’s expense and at Israel’s expense – in effect, preferring Obama to Netanyahu by a wide margin. A dangerous time is ahead. Under present circumstances, it is inconceivable that the US will take any aggressive action against Iran and will more likely thwart any Israeli initiative. The US will preach the importance of negotiations up until the production of the first Iranian nuclear weapon – and then state that the world must learn to live with this new reality. But this election should be a wake-up call to Jews. There is no permanent empire, nor is there an enduring haven for Jews anywhere in the exile. The American empire began to decline in 2007, and the deterioration has been exacerbated in the last five years. This election only hastens that decline. Society is permeated with sloth, greed, envy and materialistic excess. It has lost its moorings and its moral foundations. The takers outnumber the givers, and that will only increase in years to come. The “Occupy” riots across this country in the last two years were mere dress rehearsals for what lies ahead – years of unrest sparked by the increasing discontent of the unsuccessful who want to seize the fruits and the bounty of the successful, and do not appreciate the slow pace of redistribution. What meaningless hogwash by the “rabbi”………every paragraph is a joke. If Herr Rabbi thinks Romensians supporting wide open borders, expanded warfare, assault weapons bans, police state fascism, and bankster bailouts is substantially any different form his evil twins- Bush & Soetoro, he is as deluded as the voting public.